Part 2 – a large part of the excitment of the underground Northern Soul scene was provided by the discovery of obscure records and the battles of one-upmanship between DJs. Find a record with that sound that no one else had, and play it at your particular venue? Pure gold. That venue may have been the only place where a punter could go to hear it and dance to it. Best not to let the collectors know too much about the record, either, or they’ll be in the bargain bins and record fairs and rooting out copies for themselves. But as we have said, these are some of the greatest records ever made, and the greatest records ever made are not going to stay underground for too long on a thriving club scene. What are you going to do: swear 100,000 people to secrecy? Like that’s gonna work. 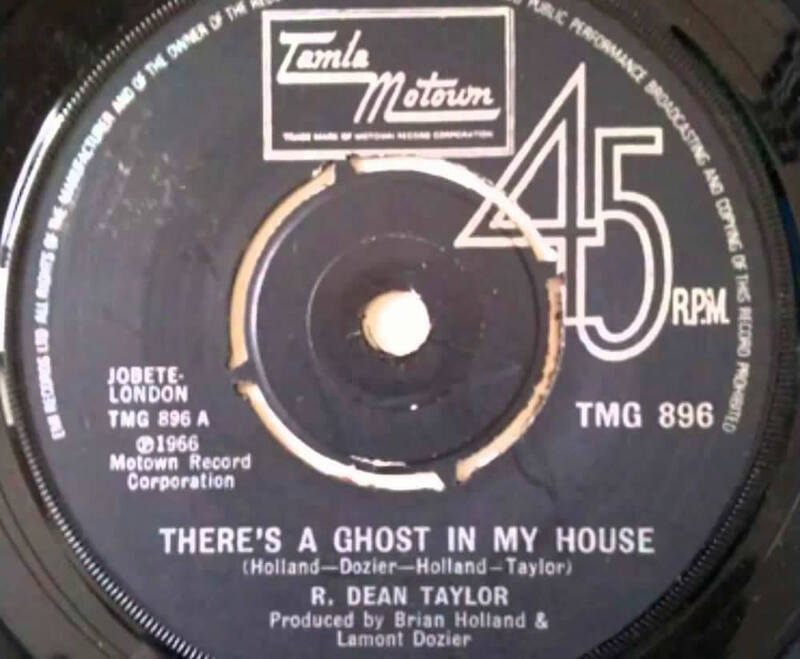 So when I was a teenager, Northern classics would pop into the charts on a regular basis, and some of them would hit the heights – most memorable for me being R. Dean Taylor‘s There’s A Ghost In My House. Originally released in 1966, given a re-injection of pace by Northern devotees, the re-issue reached #3 in the UK. It sounds alien, it doesn’t sound quite like your regular Motown record.. it’s totally distinctive and leaps out of the speakers even today. It joined records like Robert Knight’s Love On A Mountain Top and The Fascinations’ Girls Are Out To Get You in the upper reaches of the charts in the early 70s. And there’s a dilemma.. when those records became super-popular, did they lose their lustre? No longer a record for the devotee, but a record that practically everyone in the country with a working set of ears and a transistor radio had heard. Your exclusive Northern Soul club scene just became a little more inclusive. Note: The Fall covered There’s A Ghost In My House in 1988. Their version is still their highest UK chart placing. Here’s another original Northern Soul stomper from Gloria Jones you might have heard somewhere before. That cover would be Soft Cell’s highest chart placing too. You see, it’s the influence of.. the greatest records ever made. Read part three of this four part Northern Soul exposition. Previous Northern Soul – The Greatest Records Ever Made? All I said was ‘bring me the head of Elton John’, which would be one instance when meat would not be murder, if it was on a plate.